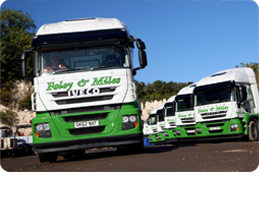 Here at Foley & Miles, we pride ourselves on providing great customer service. We appreciate that not every load or requirement is straight forward. Our team is geared up and ready to deal with many different types of transport challenges. 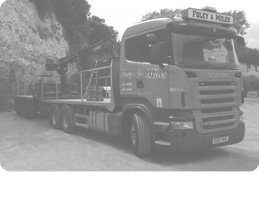 Our drivers are trained to a very high standard and many are experienced in all aspects of crane transport. They are qualified to operate our fleet and are Crossrail and FORS safe urban driving trained. They also hold Allmi licences in addition to their drivers CPC. 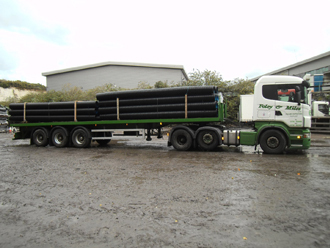 If you have a load or transport requirement which is out of the ordinary and requires specialist attention, we are here to help. 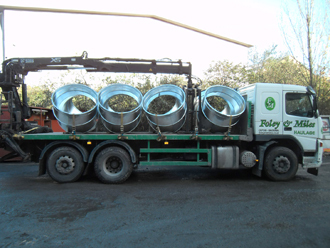 We can lift, deliver and offload large rockery or boulders, silo’s and even ventilation equipment. Call a member of our team today to discuss your transport needs. "Our boulders require care and attention when being handled and delivered. 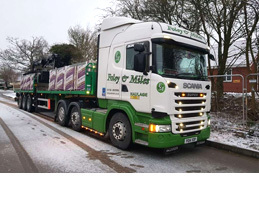 Foley and Miles drivers are always prepared to take the extra step to deliver the customer satisfaction that we appreciate from our hauliers."